Every year when autumn’s chill arrives, it sends a subtle signal to those who are paying attention: time to winterize your plumbing system. Have you listened to that little voice inside your head that forecasts a visit from Jack Frost? Judging by the number of frozen plumbing and burst pipe claims made each winter, most people neglect winterizing their pipes until a disaster happens. Did you know that a single burst pipe can gush 4-8 gallons of water a minute and cause many thousands of dollars of damage in just minutes? Avoid this problem by sealing gaps on the outside walls of your home where cold air can penetrate. Pay attention to filling gaps, insulation around dryer vents, cables, windows, attics, crawl spaces, and areas around your foundation that appear vulnerable. This is a sly trick. Don’t leave hoses attached to your home’s exterior. 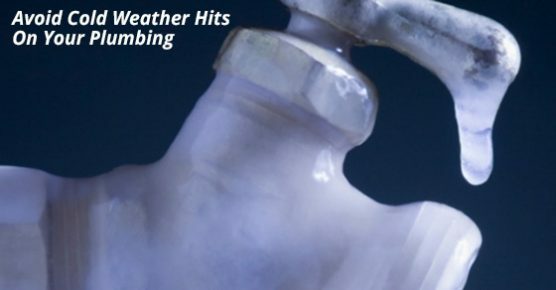 When cold weather hits and the water in hoses freezes, its effects can damage interior pipes. Unhook and drain all hoses by summer’s end. This is a very difficult problem to correct that is often caused by pipes not being buried deep enough. Once ground pipes freeze, it’s very difficult to thaw them (and may require a professional welder’s help). Be pre-emptive next summer and contact city officials for more information on underground water lines. When your pipes freeze, it’s too late to be proactive; you’re facing a plumbing emergency. Contact the professionals at Advanced Plumbing as soon as possible.